I don’t think you can help with this, but I am giving it a shot anyway. I have a friend—no, not me—and I am just about to give up on her. Before I do that, I wanted to ask you about the situation. My girlfriends and I are a close-knit group. 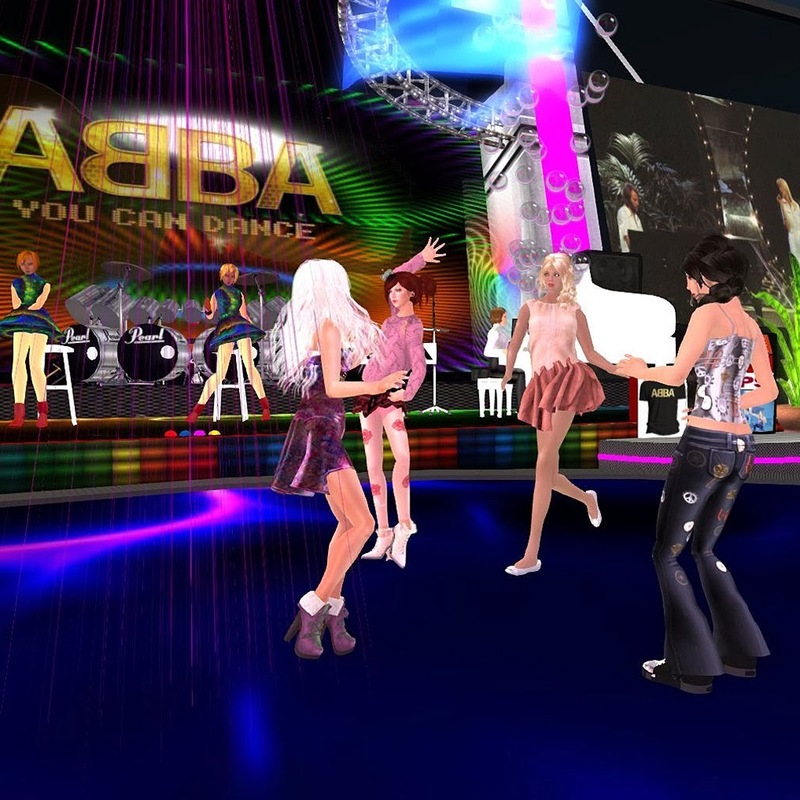 We do a lot of the things most girls do in Second Life™: shop, dance, go to parties, and talk, talk, talk in voice. We do have a few guy friends who come along with us, but mostly we are together having laughs. It’s really nice, or at least it was really nice until recently. We are always ready to incorporate new ladies into our group, and Brittany seemed a perfect addition, with her quick wit and Australian accent. She quickly caught on to our ways, and became an important member of our shopping expeditions. She changed clothes even more than all of us, and her taste, while different, was very interesting. Things could not have been better, and we all enjoyed having Brittany with us on our jaunts. Every crowd of girls has a ringleader, who is the person who generally sets the agenda for the get-togethers, and decides what is to be done. Rowena is our mistress of ceremonies, and most of us are more than happy to do whatever she suggests for our romps through the virtual world. Our new friend Brittany seemed very taken with Rowena, and spent more and more time with us, seeming to court favor with our leader. There didn’t seem to be anything unusual about this initially, but that all changed one day when Rowena didn’t respond in a timely way to an IM that Brittany sent her. Brittany started to IM all of the other girls to ask why Rowena was ignoring her. We all know that sometimes Rowena gets involved in things and doesn’t pay attention to her IMs, and none of us was particularly bothered by this. We knew that sooner or later Rowena would look up and see her IMs. However, Brittany was not able to just accept the situation. She kept IMing us and her questions evolved from asking why Rowena wasn’t responding to her IMs, to why was she always left out of everything, and she wasn’t going to take it anymore, and she needed real friends, not untrustworthy people like Rowena. We were all pretty shaken by what developed, but Rowena patched it up with Brittany and the group partied on. Sadly, this scenario of Brittany melting down whenever she perceived that she did not get enough attention from Rowena continued and got stronger and stronger. She un-friended and re-friended her several times. She attempted to enlist us in taking sides, and helping to negotiate discussions about her lack of attention. She said: “I can’t take this anymore!” so many times that we stopped listening. All of us really had enough, and were ready to say good-bye to our newest member, but a few of us had the good sense to realize that people who behave this way are usually dealing with some sort of trauma from the past, and have little skill in dealing with it. That was when I thought of asking you what to do. Thanks for your letter, and for your concern. I think it’s admirable that you have such compassion for this person. Most people in SL would have dumped Brittany the moment that she started to cause disruptions in the group. You are probably correct in your assessment of the situation. Brittany most likely is responding to her present time as if it was the past. We all do this. The relics of our childhood remain with us; usually throughout our lives. A child who grew up being severely criticized will almost always be sensitive to criticism. Since all of us—this writer included—don’t really think about the connection with the past, we are doomed to repeat old patterns and habits. Whatever Brittany is going through is not really what is going on in the group of girls in Second Life™, but something that is a reenactment of something from her childhood. If, for example, Brittany was the child who was left out of things by her mother, she may be responding to Rowena as if she was the mother who left her out. Of course, I am merely speculating about the exact circumstances, but the intensity of Brittany’s responses makes it clear that the past is calling her. Your question asked about what to do about this. Unfortunately, my response is neither a quick fix, nor a fix at all. It is Brittany’s job to find out how to get past this problem. The only thing you and your girlfriends can do is find some way to stick with her, despite her maddening behavior. Brittany lacks the ability to trust others, and feel at ease with them. You ladies can help her by being constant no matter how angry she becomes. If you keep letting her back in she may start to feel more comfortable in the group and lose the need to be constantly validated by Rowena. I wish you luck and stamina, as that is what will be required to break through this roadblock in your group’s progress. Let me know how you make out.